With the highest number of degrees per capita worldwide, Israel ranks as one of the top providers of higher education in the world. Israel also publishes the most academic articles per capita of any nation. Israel has more than a quarter-million students enrolled in institutes of higher education, and over 20% of Israelis hold academic degrees. Although not free like primary and secondary education, university education is subsidised by the government. Students pay minimal fees. Israel boasts eight universities, several dozen colleges, an assortment of vocational schools and various teaching training colleges. With the exception of the Weizmann Institute, all institutions teach their classes in Hebrew. Several Israeli universities have received international recognition, such as the Hebrew University of Jerusalem. Many universities in Israel rank among the world's top 500 institutions of higher education. Colleges and universities in Israel offer Bachelor's and Master's degrees, Israeli universities also offer Doctorate degrees. An Israeli Bachelor's degree typically requires three years of coursework, and a Master's degree takes two additional years. Doctorates generally take four years. Doctorate programmes are available in English and Hebrew. 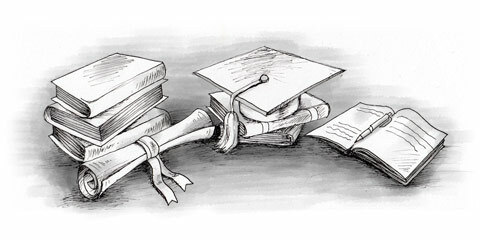 Universities offer degrees in science, technology, the humanities and business. It is not uncommon for undergraduates to begin their academic careers at a college and to transfer to a universities to complete their degree. Israeli universities readily accept non-nationals wishing to study in Israel. Test scores are a requirement for a non-national to enter university, and different universities require different tests. Some of these tests include the SAT, ACT, a Hebrew proficiency test, the TOEFL for non-English speakers or the Pyschometric test. Foreign students apply directly to universities. Hebrew-speakers gain direct admittance to university courses and programmes. Non-Hebrew speakers applying to universities are required to participate in a Hebrew language-immersion course (ulpan) as part of entrance into a university programme. Applications are accepted throughout the year. Students apply to academic programmes and are admitted based on the availability of positions within a programme. To be accepted into your preferred course of study, submit your application as soon as possible. Universities in Israel accept transfer applications from accredited universities and colleges. Transfer students must submit a transcript and scores from qualifying exams to the university. Transfers must be able to speak Hebrew. All Israelis must serve in the military. Citizens may defer military service in order to attend university.